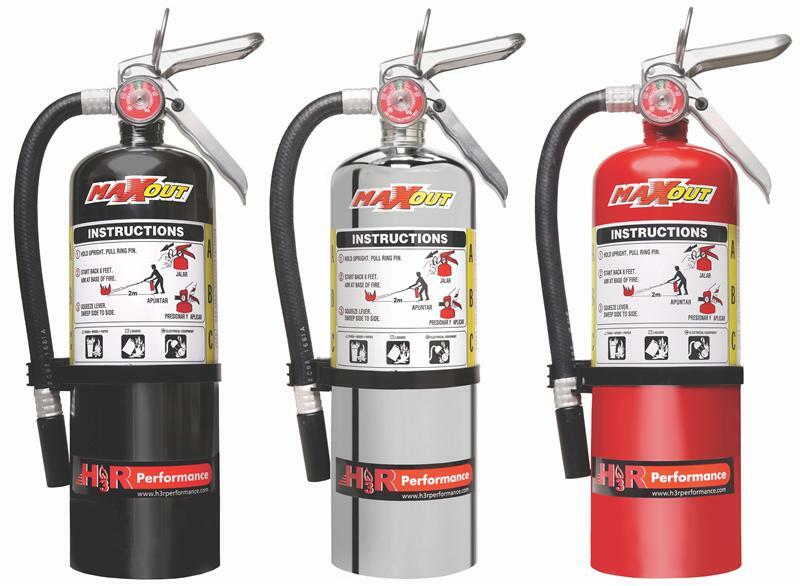 MaxOut dry chemical fire extinguishers effectively smother flammable liquid fires without conducting electricity back to the operator – just the type of protection needed in an automotive environment (never use water on a flammable liquid or electrical fire). MaxOut extinguishers containing more than 1 lb. of agent are also rated for common combustibles like wood, paper, rubber, and some plastics. This added effectiveness makes them ideal for marine and home use as well. For ease of maintenance, all MaxOut dry chemical fire extinguishers utilize free flowing and non-caking additives.